On Oct. 5th and 7th, we were visited by volunteers from NBCC Saint John and T4G Limited who helped clean up our yard, complete some small maintenance work around the house, and prepped and painted some rooms. We are extremely grateful for the generosity of both of these groups. Your help has been a tremendous blessing to our community. Thank you! 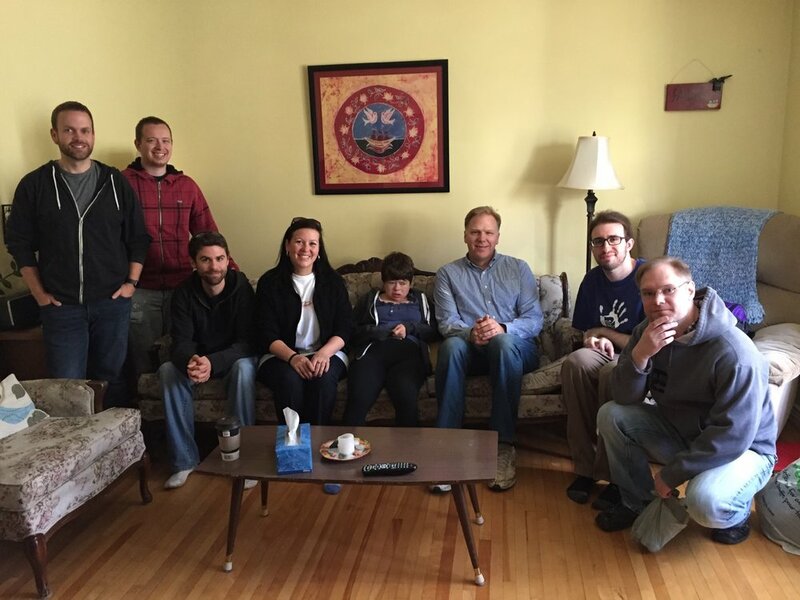 T4G Saint John crew who helped paint some bedrooms at McKim House! "As described in the City of Saint John Arts and Culture Policy, the arts make a substantial contribution to the quality of life and vitality of our community"
We are excited and honoured to have our growing Creative Arts Initiative be recognized by the City of Saint John as an important investment in our wider community. Thank you to Mayor Don Darling who welcomed Krista, Diane, and Kristofer to City Hall to accept a grant supporting our mission. Thank you to Dobson Chrysler for your generous contribution towards the purchase of our new van. Our van will support our community in many ways: trips to the beach, road trips and vacations, appointments, conversations, and singing out loud when we think nobody is looking!